1 June 2015 marked the third anniversary of the Brown Berets - Prison Chapter (BB-PC). This was a significant event, one that should be reviewed and put in context for what it means for [email protected] and what other oppressed people can learn from this development. Although [email protected] have been showing a rise in consciousness and political activity, we need to also reach farther and dig deeper in our efforts. The following four points are some of the contributions which this anniversary marks. All [email protected] should understand that we can accomplish much more with more participation and with more prison activism. There are four points that are important ways in which this development has progressed. 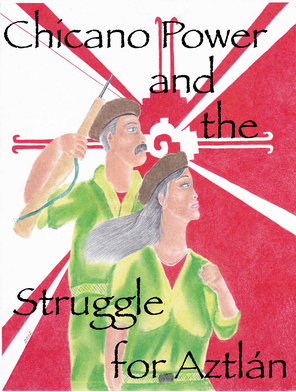 * Book project: The BB-PC was happy to participate in the newly released book [email protected] Power and the Struggle for Aztlán. This is a much needed book based on today's [email protected] nation, and it was time for such a project. The BB-PC saw that there is a shortage of contemporary [email protected] revolutionary literature showing today's gente the way forward. After collaborating with MIM(Prisons) and other [email protected] who were also working to rebuild the nation, the book project was launched. This book marks a new level of consciousness for the nation and it is ground breaking. We believe that this book has signaled the next wind in the [email protected] movement. * New Chapter: Another development in these three years was the formation of the BB-PC Colorado. The fact that [email protected] in Colorado have been able to rise above their circumstances and contribute to advancing Aztlán is a beautiful thing. When people can look outside of themselves and, despite their own oppression or repressive circumstances, stand up with the nation, it should be applauded. It is no surprise that comrades in Colorado did not waste time in getting involved in today's [email protected] movement because Colorado has always contributed strong cadre to Aztlán. In 1974 Los Seis de Boulder Colorado gave Aztlán the martyrs which fueled Aztlán at that time. But the Colorado chapter also confirms our analysis which can be found in [email protected] Power, and which explains that we suspect imprisoned [email protected] are developing politically at unprecedented rates and as this continues so will more chapters rise throughout the U.S. pintas. * Release of [email protected] out of the control units: Another development has been in the fact that after years and decades of [email protected] and other oppressed people being held in control units we have now seen many moved back out to the general populations. We believe that this was accomplished by a multitude of actions. 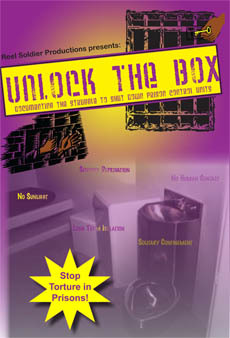 The hunger strikes, the heightened education/agitation behind prison walls, and the involvement in more [email protected] speaking out and creating literature and political theory to guide the prison movement, has all helped to push the prison movement for human rights forward while ensuring that the demands within prisons remain progressive and continue to revolutionize. All of these efforts were supported by the imprisoned [email protected] movement and the BB-PC participated in various ways. * Future efforts: We see the need for more [email protected] study material and the newly released book [email protected] Power was just the first step in this regard. More material is being developed which will add to transforming the hearts and minds of captive Aztlán. It can be said that in these short three years a contribution has been made to Aztlán. But this is an ongoing long-term project and we have only begun. Thought reform takes time, and undoing the damage that colonialism has done on our nation's minds is hard work. We are freedom-loving people who have tasted freedom through our actions, and our activism will not stop until we are all free. The coming year will see more leaps forward as more [email protected] are let out of the control units, and as more torture is stopped. The first step in contributing to Aztlán is educating oneself and those around you. Learning [email protected] hystory and discuss how to advance the gente. Nobody will free you if you will not free yourself. We look forward to better days and a re-charged [email protected] movement.